Tails is a secure bootable operating system which can be started on almost any computer from a DVD, USB stick, or SD card. 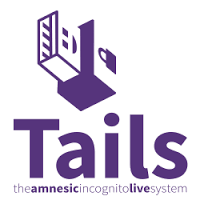 Tails aims at preserving privacy and anonymity online, and allows to: * Use the Internet anonymously and circumvent censorship; all connections to the Internet are forced to go through the Tor privacy enhancing and anti-censorship network. * Leave no trace on the computer by default. * Use state-of-the-art cryptographic tools to encrypt files, emails and instant messaging.